According to recent Pew findings, 69 percent of the public uses social media today. This means that a huge portion of your market is active on social media, which you probably know already—and your competitors know, too. 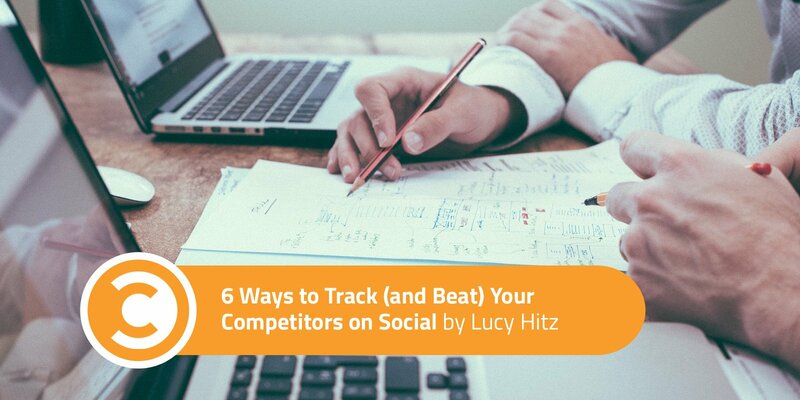 Define, track, and beat your competitors on social media using the tools laid out below. You think you know who your competitors are, but you might not be seeing the full picture. This depends on how you define competitors. There are two categories of competitors. Your direct competitors: These are the brands competing with you for dollars in the bank. They sell the same (or comparable) product or service. Your competitors for audience awareness and interaction: These brands don’t do the same thing you do. The overlap is in target audience, as an increasingly large number of brands compete for similar demographics. If you’re having trouble identifying your target audience, check this post out. You should be tracking competitors from both of these categories on a regular basis, so you can learn which new content ideas and delivery mechanisms your competitors are investing in, learn from their successes and pitfalls, and gain a deeper understanding into which content resonates best with your shared audience. After you’ve identified the different competitive sets (one for direct competitors, one for audience competitors) that you want to track, it’s time to set a baseline. Run an easy analysis to understand how you stack up against each competitive set, and zero in on the specific posts and campaigns which are driving engagement and audience growth for your competitors. Then, set a goal. Be as specific as possible when setting your goal: The more specific the goal, the more likely you are to hit it. If you’re behind when it comes to the engagement metrics that matter to your brand, whether those are shares, replies, likes, comments, and/or interactions on a specific social network, set a goal for percentage growth over the next quarter and year. If you’re ahead, take a look at your past growth, and make a goal to replicate or exceed that growth percentage so that you stay in the lead. 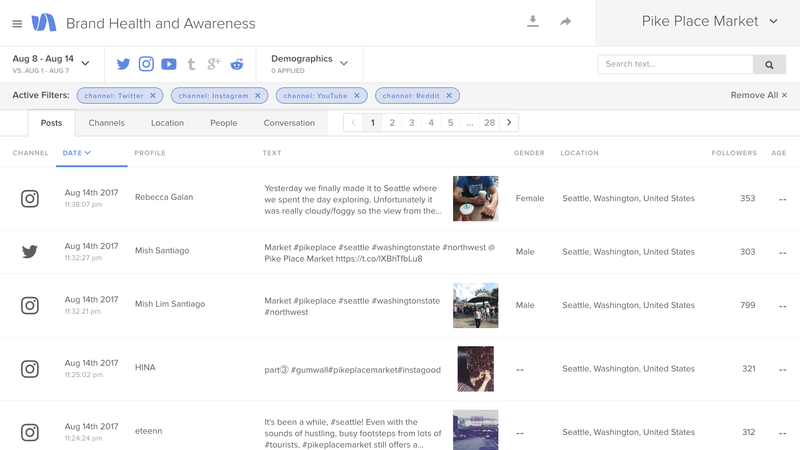 By viewing the conversation around your industry topic across multiple social channels, from Facebook to Reddit, you can discern whether you or your competitors are defining and dominating the conversation from an earned social perspective. In other words, how do people really feel about you and your competitors? How do you match up when it comes to brand health? Not all engagement is good engagement, after all. The best way to deliver a message your audience will connect with—and get a leg up on your competitors while you’re at it—is to understand what they’re talking about with one another. How is your target audience interacting with their own following around relevant topics to your brand and industry? Beating your competitors on social is an audience-first strategy. Which events matter to your audience, and how can you become a part of these conversations? Spend some time researching popular events for your target demographic, listening to what they’re talking about now, and planning your content calendar around the events which are hot in your space. There are so many places to spend your social ad dollars. Be thoughtful about which social channels and campaigns you devote money to—and make sure that if your competitors are there, promoting hashtags and boosting posts, you’re there, too. Keep an eye on your competitors’ promoted posts, and use social analytics to gauge which social posts are performing best organically, so you can make smarter ad decisions using that information. Want to learn more about how you can use social analytics—listening included—to beat the competition? Head to the Simply Measured blog or give our product a spin today.